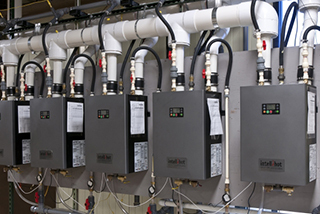 While selecting a hot water tank for your home, it is important to choose the heating system that is energy efficient and adequate for the size of your home. Certain considerations such as heating methods, i.e. electricity, gas, solar, or heat pump, can considerably affect your annual operation cost. Choosing a hot water heater tank that fits your budget and is energy efficient, may need expert guidance. Maple Mechanical understands your needs and provides a thorough assessment of all the brands of water heaters that meet your requirements. 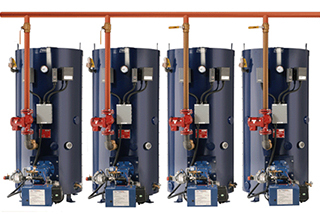 If you are interested in new water hot heater installation, request a quote from Maple Mechanical. Although a water heater can last for several years, as they age they can produce a variety of problems from cold water, leakage, rust coloured water, and a variety of noises. 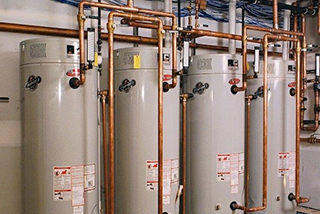 If your water heater is not working correctly, call Maple Mechanical immediately for our water heater repair service. Let our licensed technicians answer your questions and show you exactly what the issues are with your system. We will also quote on updates to piping and plumbing required for hot water tanks to meet proper building code.